Well this was not originally the activity I had planned out for everyone. I'm not really sure how many members like doing these things I for one don't actually enjoy doing them all the time, but one every now and then is alright I suppose. I had this idea for another pack I use to be in, but we never used it and it is now shut down. 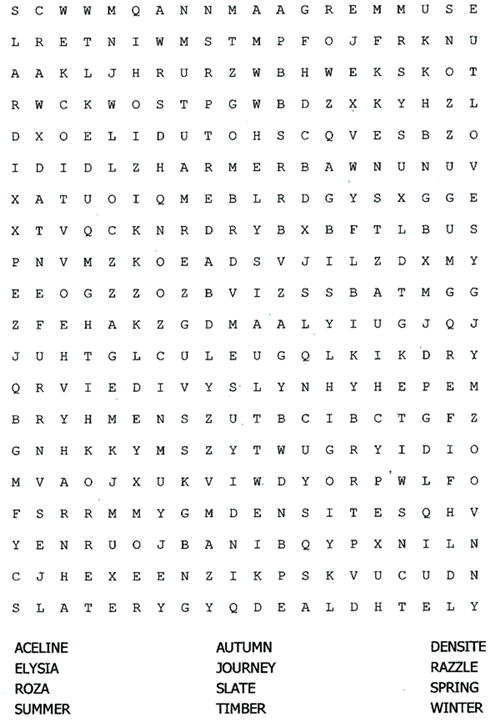 So the idea here is that we will have one of these Word Search's every other month. Each one will have new words on it, but they will all have something to do with the pack or wolves in general. This one only has the Members and Ranks in it and some words are easier to find others are a bit harder. If you want you can print it out, but if you do not have a printer or are not allowed to use a printer then you can actually just copy it and then paste it onto paint or probably some other program thingy like it and then just mark through the words or something using the pencil tool or pen tool. 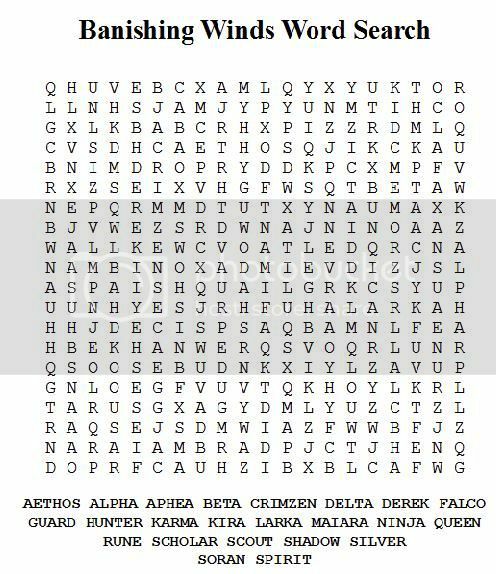 Well, I completed it and it does work and every word is on it...my hardest one was Soran and it took me forever to find it. Very cool Rune, my hardest word to find was Kira XD. Wow this was such a good idea! 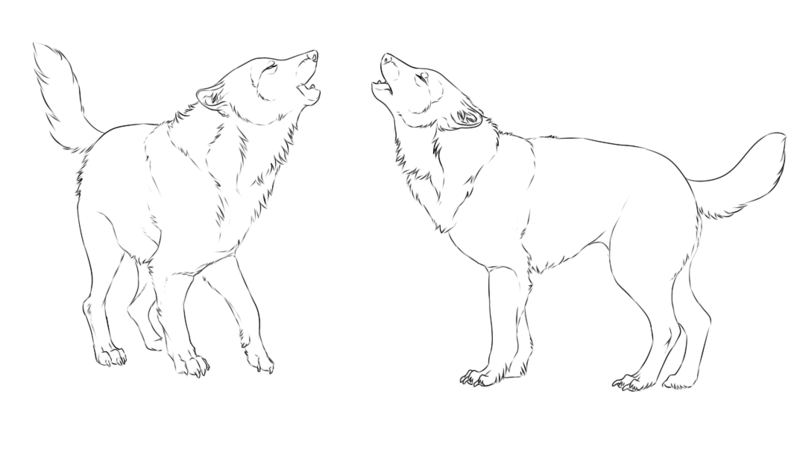 Alright, here is the second one...however please note that it is not the best. I had some trouble putting it together because the site I was doing it on before was being rather mean. Note: I'm not completely sure they are all there and that this works...when I do it I will let you guys know..or someone else can instead. Ooo, I think I will do this. Looks fun. Good idea Ruins!